In September 2004, journalists Annemie Struyf and photographer Lieve Blancquaert headed for Kenya in preparation of their book My status is positive. The idea was straightforward: it was to become a book of photographs about regular people, from Europe and Africa, all seropositive. Lieve would photograph, and Annemie would write the subtitles. But the photographs became images, and the subtitles became stories. And before they realized it, they were swept away on a journey through Kenya with Achieng, the 36 year old woman who saw hiv not as her demise, but as her mandate. Annemie en Lieve took Hope under their wings, and a while later, Annemie and her husband adopted baby Hope as part of their own family. Achieng travelled to Belgium where she received medical care and access to the latest antiretroviral medication, which has done wonders for her health. 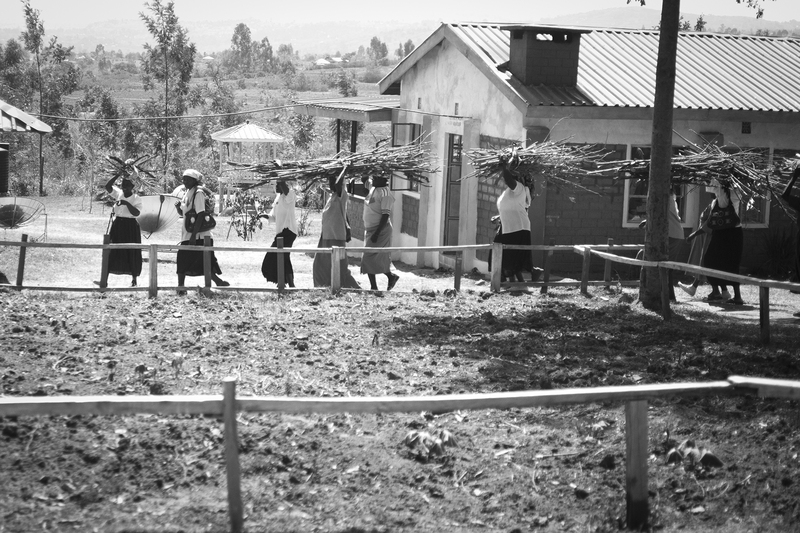 In September 2005, Annemie returned to Kenya, in search of Hope’s roots. This journey has resulted in the shocking and touching television series My daughter’s mother. This is where Achieng’s life-long dream begins: Setting up an orphanage for twenty-some AIDS orphans.